Jennifer Garner and Gwyneth Paltrow: "We Don't Wanna Look Like Joan Rivers"
Jennifer Garner says she will not accept any role that involves drastic changes in her body because she absolutely despises counting calories. 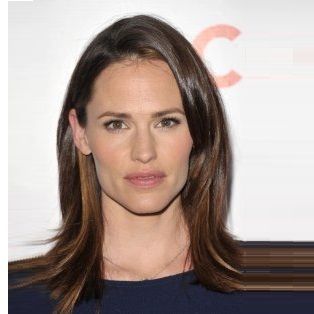 Los Angeles, Aug 14 (IANS) Actress-producer Jennifer Garner won’t opt for roles that require drastic changes in her body because she hates calorie counting. “There were times I had to watch every calorie that went into my body. Doing something like that again… it’s not exactly on the top of my list,” says Garner. She also says her hubby Ben Affleck will never consider having Botox injections either. Garner and her pal Gwyneth Paltrow have both publicly swore off Botox. “I’ll try anything. Except I won’t do Botox again, because I looked crazy. I looked like Joan Rivers,” said Jennifer. This sounded a little familiar to me, so I looked back on our old blog posts. Gwyneth Paltrow said the exact same thing about Joan Rivers. Then Joan Rivers fired back at her in public! Celebs must really not want to look like Joan Rivers.